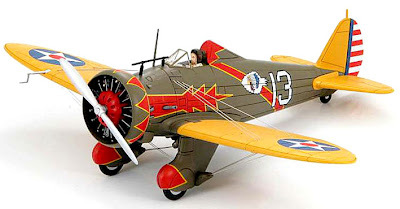 Hobby Master has some fine new offerings for ready-built aircraft collectors. 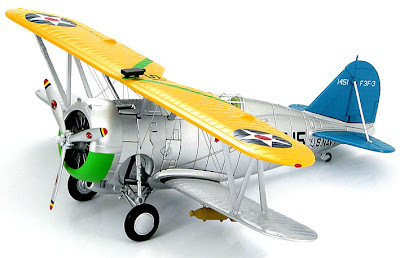 In 1:48 scale, they include a pair from the 1930s, the Boeing P26 and Grumman F3F. These are nicely detailed (the Boeing has machine guns accurately shown in the engine cowling) and beautifully rigged. 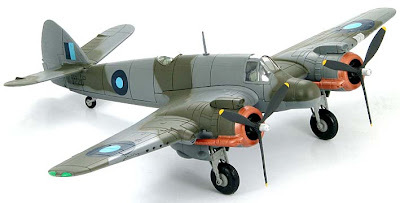 The 1:72 scale selection includes a Bristol Beaufighter. There's a neat radar thimble and well portrayed undercarriage. 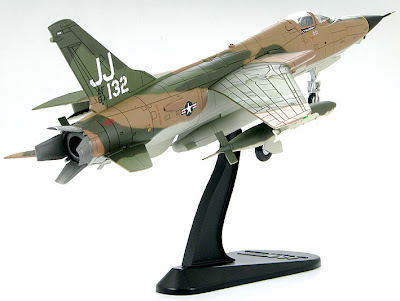 Among the jet-age ‘heavies’ is a Vietnam-era Republic F-105 Thunderchief, the biggest single-engine fighter-bomber flown by the US Air Force. Again, detail is good, this time extending to the engine nozzle area; well done Hobby Master. And things get very interesting with the diorama sets. The one we show here (bottom) is for an A-4 Skyhawk (not supplied) and includes seated and standing pilot figures, generator, ladder, and wheel chocks. These models are feeding into suppliers, and should be generally available shortly. You can see them all at the specialist Hobby Master Collector site, here.